Located in the Bend Factory Stores on Bend’s south side, Columbia Sportswear is open daily, with special holiday hours. Making outdoor clothing gear for more than 70 years, the Portland, Oregon based company creates what they call “no-nonsense apparel and footwear to keep you warm, dry, cool, and protected, no matter what.” The outlet store, one of only five Oregon locations, offers a wide selection of jackets, pants, shirts, base layers, socks, shoes, sandal, boots, and more for men, women, and kids at substantial savings over the retail price. They have frequent sales on top of their marked down items, making the deals even more of one. 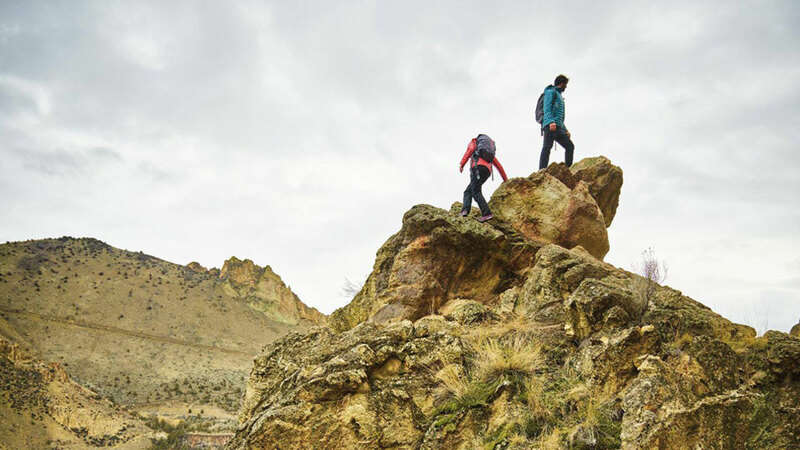 Columbia says “being an industry leader in outdoor apparel and products takes passion, and an understanding of people who love the outdoors as much as we do. That’s why, from cutting edge technology to our innovative heritage…they’re all tested touch so you can enjoy the outdoors longer.” The size of this location allows the brand to showcase a wide range of the company’s product.